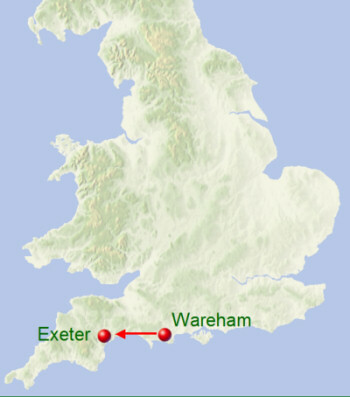 This year came the Danish army into Exeter from Wareham; whilst the navy sailed west about, until they met with a great mist at sea, and there perished one hundred and twenty ships at Swanwich. Meanwhile King Alfred with his army rode after the cavalry as far as Exeter; but he could not overtake them before their arrival in the fortress, where they could not be come at. There they gave him as many hostages as he required, swearing with solemn oaths to observe the strictest amity.